Uluru-Kata Tjuta National Park is known for nature, museums, outdoors, trails, and classes. Your plan includes some of its best attractions: explore the striking landscape at Uluru, go for a walk through Field of Light, take your sightseeing to a higher altitude at Kata Tjuta, and get outside with Walpa Gorge. To see reviews, more things to do, where to stay, and other tourist information, you can read our Uluru-Kata Tjuta National Park road trip app . 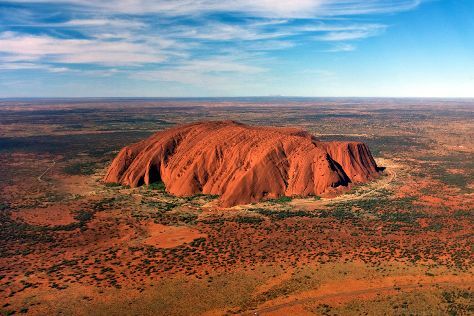 In June in Uluru-Kata Tjuta National Park, expect temperatures between 22°C during the day and 7°C at night. You will leave for home on the 20th (Sat).